I sometimes get asked why I chose the profession of audiology. When I think back, my audiologist and family first inspired me to pursue a career in audiology. As a hard of hearing individual, it felt natural for me to work with and assist others living with hearing loss. It’s exciting to be on the frontlines and witness the rapid changes and improvements in technology that I depend on every day. After receiving my Au.D., I joined Sonova for a one-year formal development program, working at Unitron US, Connect Hearing Canada, Advanced Bionics, Phonak US, and now Phonak HQ in Switzerland. 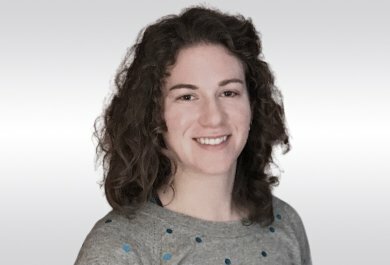 I’ve taken on various roles at each entity, working in marketing, product management, sales development, research, and validation. The opportunity to work alongside and collaborate with professionals from a wide variety of backgrounds and nationalities, creating hearing solutions that will reconnect individuals to their hearing world is spectacular. At the completion of the development program, I will end up with a holistic, global view of the hearing care industry. 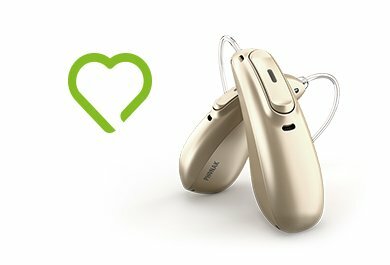 During my time here at Phonak HQ, I have the great opportunity to be a part of a team that provides hearing solutions for those with single-sided deafness (SSD), commonly known as severe-to-profound unilateral hearing loss (UHL). Hearing loss in one ear is a challenging condition as it’s not always visible to others. 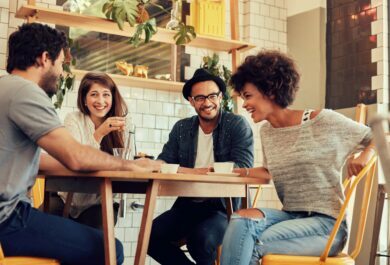 These individuals tend to employ coping strategies to adapt to their listening environment, such as rearranging where they sit at the table. But, this is not the ideal solution. Always adapting can be tiring, making social interactions exhausting and frustrating, and overall, impact one’s quality of life. And there will always be situations where they are unable to adapt. For example, when they aren’t aware of a person attempting to communicate with them on their poorer hearing side. This scenario can lead to unfortunate misunderstandings and confusion. Unfortunately, the common way of thinking amongst professionals and those living with SSD is to do nothing because you still have at least one ‘working’ ear and that must be enough, right? This is a false assumption. We have two ears for a reason; we are meant to hear from both sides. Hearing from both ears reduces listening effort and concentration, especially when in noisier environments. It also provides awareness of sounds from all directions, such as a car coming down the street. There are different technology solutions available to meet the needs of those with SSD and it’s important for hearing care professionals to be aware of them so they can determine which one is the most appropriate for their patients. When I was practicing in a hearing clinic and seeing patients with SSD that desired a non-invasive, but beneficial solution, my go-to would be the CROS system. A CROS system consists of a hearing aid on the ‘good’ ear and a transmitter on the ‘poor’ ear. The sound is picked up from the transmitter side (poor ear) and sent wirelessly across to the hearing aid, known as the receiver (good ear). A patient of mine, prior to wearing CROS, always had his spouse drive when taking road trips so they could better communicate in the car as he could not hear from his right ear. This upset the patient as he loved driving. After being fit with CROS, he was delighted to drive again. CROS allowed him to enjoy sounds from all directions, including the company of his spouse sitting in the passenger seat. It was amazing to witness the increase in satisfaction and confidence in my patient’s hearing abilities when fitted with Phonak CROS technology compared to without CROS. I was told of only one drawback of using CROS, the limited battery life. The wireless back and forth streaming consumes a lot of power, which means batteries need to be changed more often than traditional hearing aids. This battery hassle can be disruptive in carrying out day-to-day communication. It can also be uncomfortable to pause a conversation because your hearing aid battery just died and you need a moment to replace it. As I am completing my last rotation in Switzerland, it has been wonderful to be a part of the team launching Phonak CROS B-R, the rechargeable solution. 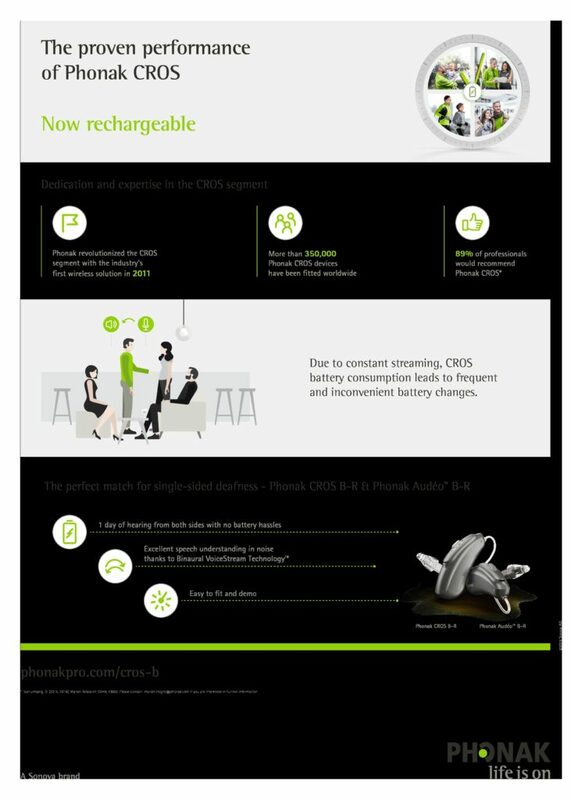 With CROS B-R, SSD patients can have one day of hearing from both sides, along with no battery hassles, allowing them access to a seamless hearing experience. Overall, it is exciting to be involved in the development and management of hearing care solutions, especially on a global scale where each country has different needs. I believe this experience will have me leaving as a well-rounded audiologist. I aspire to be a great advocate for others with hearing loss and hope to help them feel more connected to the world, like those who advocated for me. You make a difference in everything you do! You are a inspiration to the hearing world, and hearing impaired world. Thank you for your dedication and love of what you are driven to do! Where ever you end up you will be an asset to audiology department. Best wishes and best of luck to finding the right fit for your future! Does Cros work with the new Marvel aid?